Shared mobility turns our relationship with vehicles upside down. Owning a car as a symbol of freedom and wealth will soon be a thing of the past. Our industry has spent over a century developing products geared towards private ownership, based on a dream of using these products on empty, long and winding roads – which is far from our customer experience today. Automakers of today need to deliver stunning and integrated customer experiences for mobility services. To do so, they need to become software companies that master the cloud, AI, customer experience and new business models. Luxoft’s vision for mobility is to enable our clients to make the transition to sustainable mobility by co-creating smart solutions and providing cutting-edge engineering services for all areas: digital user experience, autonomous vehicle platforms, connected mobility and financial services. We believe that what was historically a set of siloed user experiences (in the car, at the dealer, at the bank, in the taxi) will merge into one integrated customer experience for mobility services. At CES 2019 and together with our partners, we have shown how the integrated customer experience will be driven by autonomy, AI and 5G connectivity, with the vehicle becoming an intelligent space – just like the living room. From an automotive standpoint, we shared how platforms and technologies for innovation we co-create are opening up rich, immersive experiences for consumers, as well as new monetization opportunities for automakers. CES 2019 showcased how the industry, our partners and customers are approaching their connected, autonomous, and smart mobility strategies, using open platforms for collaboration that accelerate the deployment of converged automotive systems. First, we have partnered with LG Electronics to help create the next-generation webOS, webOS Auto, an intelligent ecosystem and an open platform for collaboration. We are extending its capabilities and reach into automotive. LG is a global powerhouse at the forefront of the AI revolution, which will impact nearly every major industry from technology to healthcare, robotics, transportation, engineering and beyond. LG Electronics’ Dr. I.P. Park delivered an amazing pre-show keynote address and presented the LGE’s user-centric vision and strategy on AI, dubbed LG ThinQ. Park offered fresh perspectives on the evolving artificial intelligence (AI) landscape, while exploring how AI will impact the lives of consumers in the years ahead. Dr. I.P. 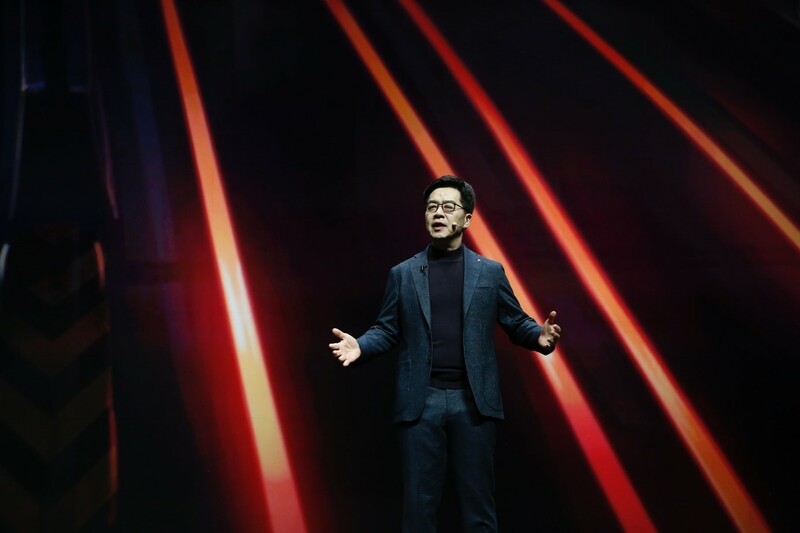 Park, LG Electronics president and CTO, ushers in the future of artificial intelligence while delivering the LG pre-CES keynote address during CES 2019 on Monday, Jan. 7, 2019, in Las Vegas. To that end, Dr. Park introduced several experts in the field of AI who were featured on stage at various points in support of the promise and future of AI, including our own Alwin Bakkenes, Executive Vice President of Automotive at Luxoft. Through our strategic partnership with LG Electronics, Luxoft will lead the deployment of webOS Auto into autonomous vehicles, initially focusing on digital cockpit development – which includes infotainment, navigation, and other features that are human-car interaction-centric. 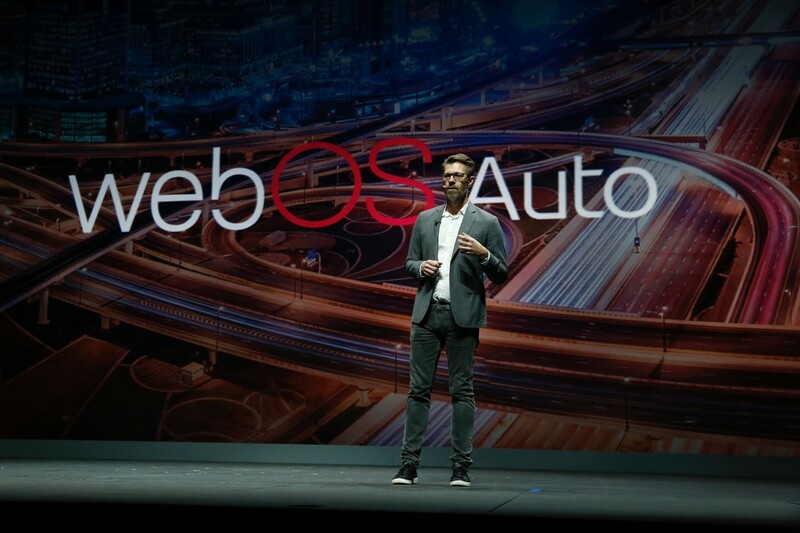 Alwin Bakkenes, Luxoft Executive Vice President of Automotive, announces the Intelligent Platform and Ecosystem for Shared Mobility based on webOS at the LG pre-CES keynote address during CES 2019 on Monday, Jan. 7, 2019, in Las Vegas. Many are very excited about our collaboration with LG Electronics, our joint first steps in transporting the living room to the car, and what we will do next. We believe webOS Auto is the ideal platform, as it unlocks the true potential of AI and 5G and enables the integration of consumers’ personalized digital lifestyles into future sustainable mobility experiences. In addition, together with LG Electronics, Amazon, HERE and The Qt Company, we unveiled our latest Autonomous Mobility Concept vehicle. We highlighted key use cases and technology platforms that we have co-created with our partners, showing how you can connect your customer to your brand. Luxoft loves to bring stunning customer experiences to the road. Newly showed at CES 2019 and the upcoming Mercedes-Benz EQC, the electric SUV features the intuitive and intelligent infotainment system, MBUX (Mercedes-Benz User Experience). A unique feature of the MBUX is its ability to learn thanks to artificial intelligence. From its inception, we have been Daimler’s partner in designing and developing the software platform that powers the MBUX – from pixel to silicon. 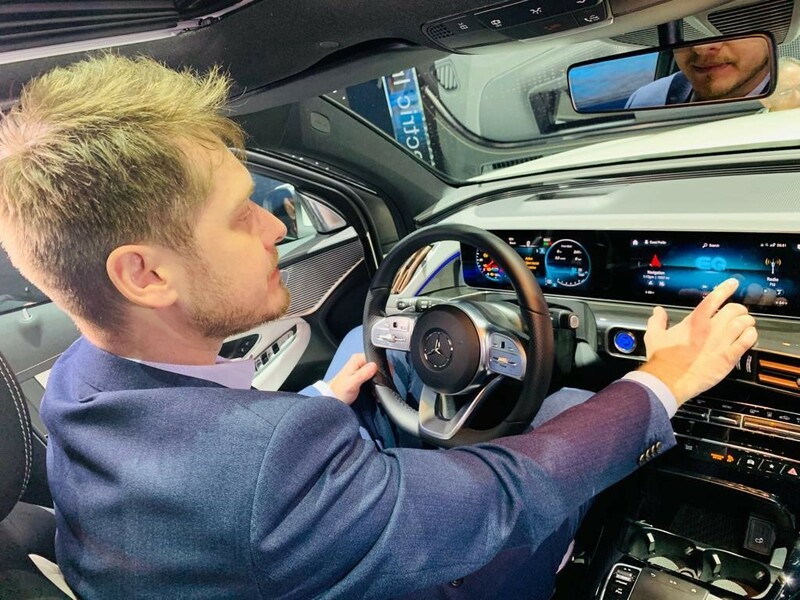 Vildan Hasanbegovic, Luxoft Automotive Director of Offerings and Marketing, uses the MBUX (Mercedes-Benz User Experience) infotainment system during CES 2019 on Monday, Jan. 11, 2019, in Las Vegas. We are also passionate about designing and developing the next generation of in-vehicle customer experiences. At this year’s CES, we’ve showcased the in-vehicle riding experience with full sensory immersion combined with virtual reality (VR) that teleports you to the future, allowing you to experience technology via the virtual communication of touch, taste and smell by digitizing these senses. 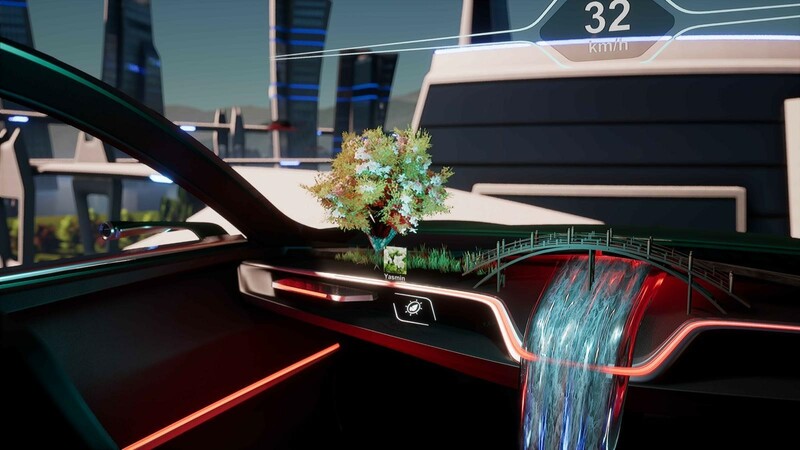 The in-vehicle customer experience with full sensory immersion combined with virtual reality (VR) as showcased during CES 2019 on Monday, Jan. 11, 2019, in Las Vegas. We’ve also showcased our partnership with ReachNow through our design and innovation arm, Smashing Ideas. Together, we’ve designed and developed a novel customer experience on multi-modal mobility services – from research to realization. 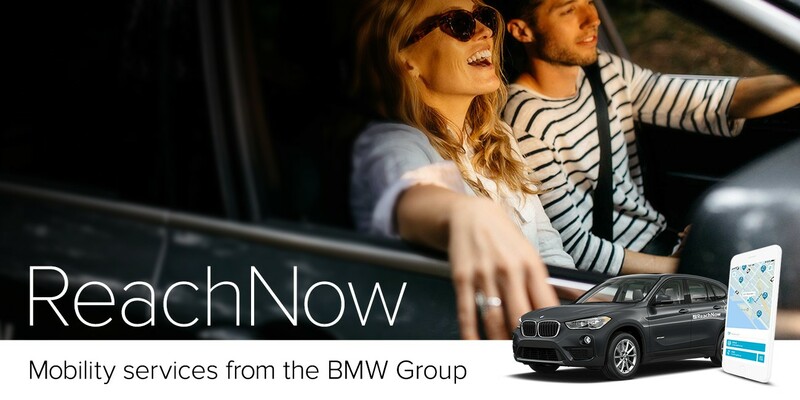 The ReachNow service enables a holistic customer experience for various mobility offerings, including car sharing and ride hailing, covering the everyday needs of mobility-as-a-service consumers. The unification of ”ride and drive” positions ReachNow as the only company to operate multiple services within one mobile experience, allowing ReachNow to deliver on their vision of shaping the future of urban mobility. Read the complete case study here. And these are just a few examples of our partnerships and the technology innovations we are a part of. There is definitely more to come. At Luxoft, we support our partners and clients every step of the way. By uniting our visions, experience, technological skills and knowledge, we co-create smart software solutions that enable us to come out as champions of the mobility revolution together, thriving and growing even more powerful along the way. Explore Luxoft at CES 2019: Empowering the Mobility Revolution to learn more about all our technology innovations presented at CES 2019. Vildan is passionate about driving the next revolution of the mobility ecosystem, and brings vast experience in the world of smart, connected and shared mobility. At Luxoft, Vildan leads the development of emerging markets, go-to-market strategies and bringing solutions, products and services across Autonomous Drive, Connected Mobility, Digital Cockpit and Silicon Technology and Partners throughout the customer journey to markets and customers. Prior to Luxoft, Vildan headed global marketing at Harman, establishing the company as a leader in Automotive Connected Services, serving more than 80% of leading automakers and their suppliers - ultimately leading to the acquisition by Samsung.